Located in the land of Sugarbush, Cosmic Hill is a small, private backyard ski area. Cosmic Hill is not open to the public. 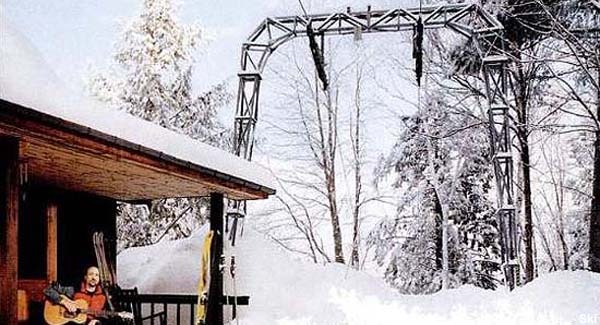 Cosmic Hill dates back to the 1990s, when Peter Avedisian constructed a rope tow in his 11 acre backyard. Using his home as a hilltop lodge, Avedisian developed his own snowmaking system to cover his slopes during times with lean snowfall. Avedisian also sells his special snowguns. At some point in the 2000s, a used T-Bar was purchased from Frontenac, NH and installed at Cosmic Hill.